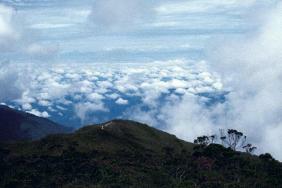 Some 55km from the resort stands Gunung Tahan, Peninsular Malaysia highest peak. The journey to the summit is arduous and requires a good level of physical fitness as well as the mental determination to succeed. You do not have to be an experienced mountaineer or rock climber to reach the top. However, if you are there are some challenging faces to test your skills. 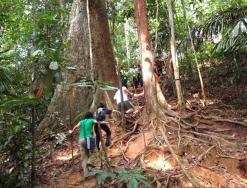 To enjoy a scenic view of Gunung Tahan walk to the top of Bukit Teresek (Teresek Hill). The canopy of the verdant valleys below contrast with the summit of Gunung Tahan in the distance. 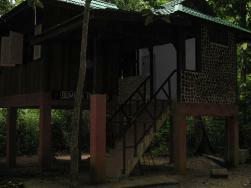 Lata Berkoh is a amazing cascade that marks the limits of easy navigability on the river. 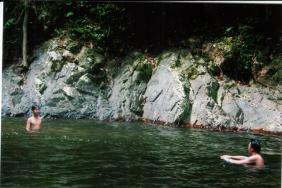 A deep pool below the rapid and a rocky area overlooking it offer an ideal site for a picnic. 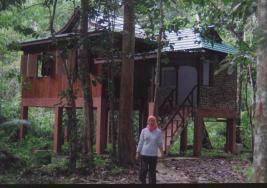 The canopy walkway is the latest facility introduced at Kuala Tahan and Kuala Koh Taman Negara. At Kuala Tahan the construction of the first phase of the canopy walkway which span across 231 metres was completed in 1993 and second phase which is 200 metres long was constructed in 1995. 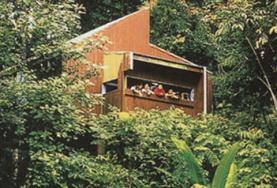 The canopy walkway at Kuala Koh which span 230 metres was built on 2000. It installed about 30 metres high and stretching over 400 motres, this is the world's longest canopy walkway. 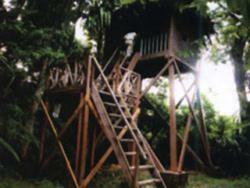 From here you get a closer look at life at the top of the world's oldest tropical rainforest. 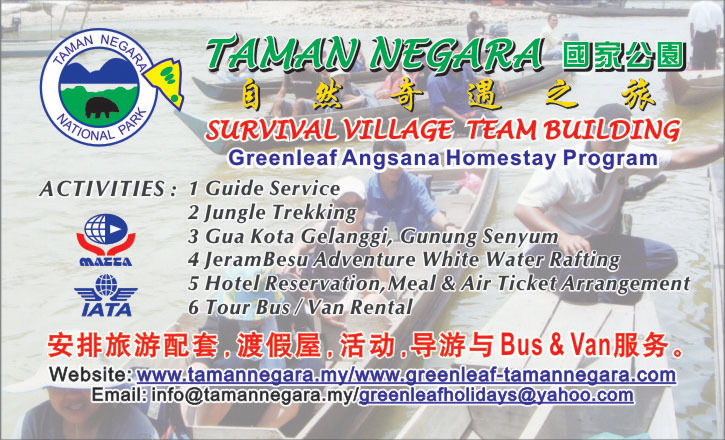 "Orang Asli" simple mean "origina people" in Malay language. To know the culture is to know the people. 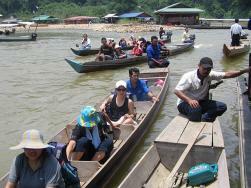 The Orang Asli who continue to live a nomadic lifestyle and people who refused civilisation call themselves "Batek". The Batek are gentle race of people, short in stature, dark skin and with tight culy hair. Learn of their language and way of life and watch their fascinating blow-pipe and fire-making skills plus the secret of Poison Dark (Damak) Making which are essential to their lifestyle. 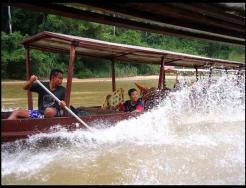 A exhilarating experience awaits you on the Sungai Tembeling. 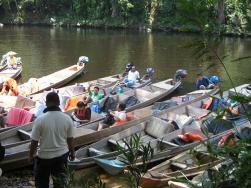 Seven sets of rapid have to be negotiated when traveling upstream from Kuala Tahan. Be prepared for through soaking. Spend a night on one of the wildlife observation hides and watch the forest browsers come to supplement their mineral intake at the salt lick. These hides are scattered around the park, some can be reached by walking and sone are by boat. 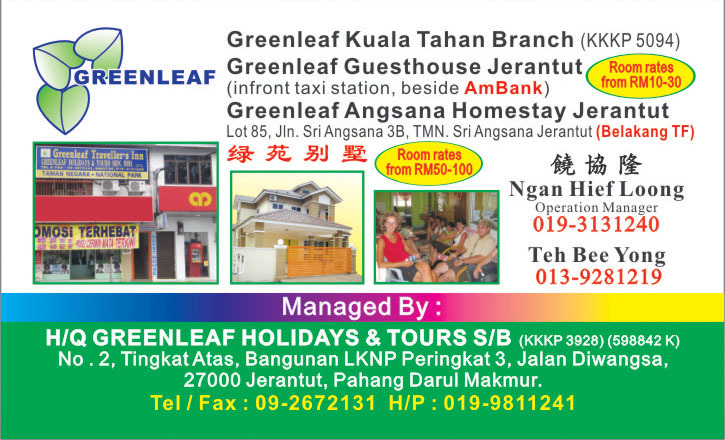 The eastern flanks of Gunung Tahan and Gunung Gedong drop off very sharply into the headwaters of Sungai Tahan. One of the major tributaries in Ulu Tahan plunges and cascades spectacularly down the mountain side in what is known as the Four Steps Waterfall. 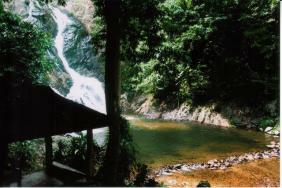 The waterfall is some 50km from Taman Negara resort.